At this stage, we know how to record journal entries using the double entry system. Can’t remember how that is done? Go to The Double Entry System to refresh your memory. These entries will go into individual ledger accounts. 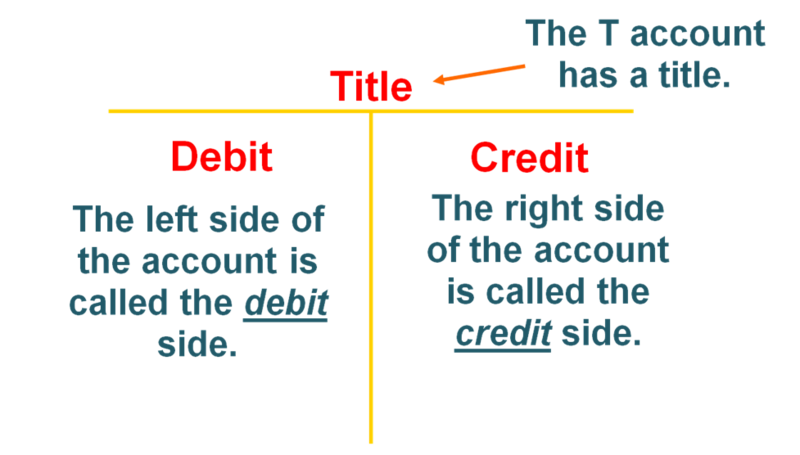 The debit entry in a journal entry will enter the debit side of an account, and the credit entry will enter the credit side. We call this process the posting process. By the way, a group of accounts for a business is called a ledger. A list of the accounts in the ledger (much like a table of contents in a book) is called a chart of accounts. But going back to the posting process. Let’s view an example. The business received cash of $8,000 for providing services to customers, on 1.1.2011. Over time, an account will have many entries. At the end of an accounting period (normally 1 year), the net total of all the entries will show a balance. This balance may or may not be carried forward into the following period, depending on the type of account. As we can see, there were 5 revenue transactions (received in cash) during the year, which total $95,000. The final balance of $95,000 will be transferred to the Adjusted Trial Balance, and then later to the Income Statement when tallying up the results for the period. Go to Adjusting Entries to see what happens after. Go to Drafting Financial Statements to see what happens when adjusting entries are used to draft the final financial statements. OK, so far we have seen what happens to the revenue and expense accounts. What about assets, liabilities and owner’s equity? Each type of account will show a tendency towards final debit or credit balances – this is what we call “normal balances”. For a discussion about Normal Balances, go here. 1. Error/s in the double entry process. 2. Error/s in the calculation of the final balances of the ledger accounts. 3. Clerical error/s, e.g. transcribing the wrong figure from the ledger account to the trial balance. Another thing about the trial balance. At this stage, the trial balance is called an unadjusted trial balance. After the adjusting process(when adjusting entries are posted), the trial balance is called an adjusted trial balance. To read what happens after an account is closed, go to Adjusting Entries. ...as well as Drafting Financial Statements from Posting Journal Entries. Return to Accounting Adventurista Home from Posting Journal Entries.